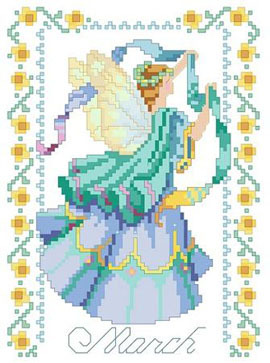 March birthdays feature a fairy wearing shades of green and trailing a green ribbon in her hands. She is surrounded by daffodils declaring the beginning of spring. One in a series of twelve faeries.